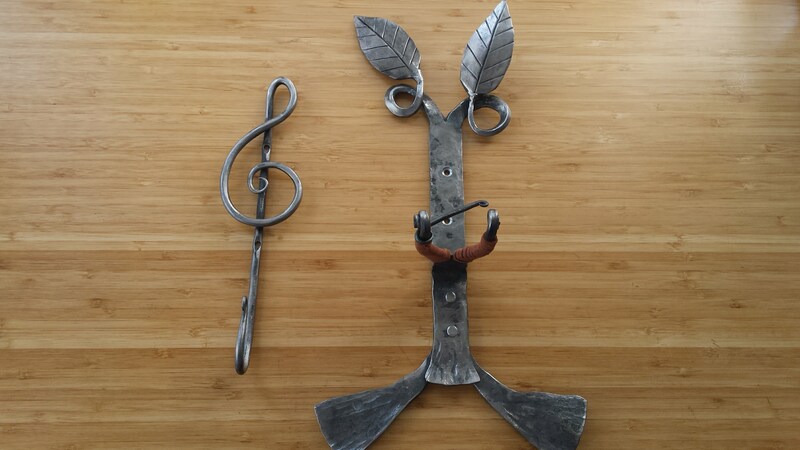 A client in Jasper, AB requested I create a wall mount for her fiddle, along with a treble clef shaped hook for the bow. 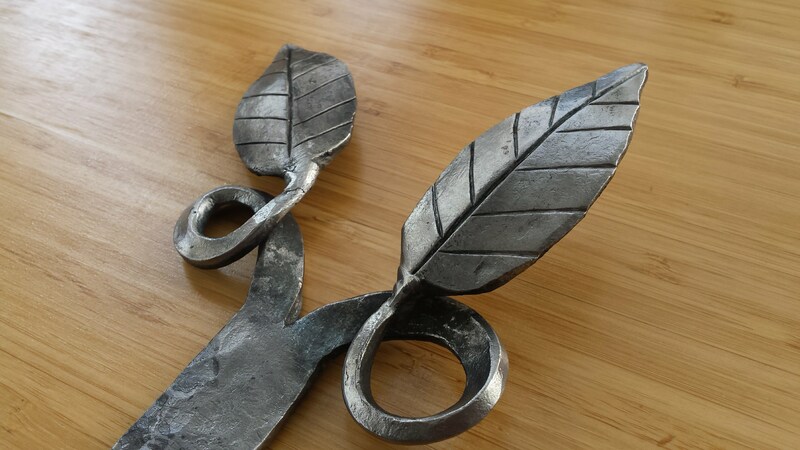 The customer granted me the freedom to do as I pleased with the design, so I drew up a wall mount design that included natural elements like leaves, hammer texture throughout and ribbon-like roots to balance the overall shape. 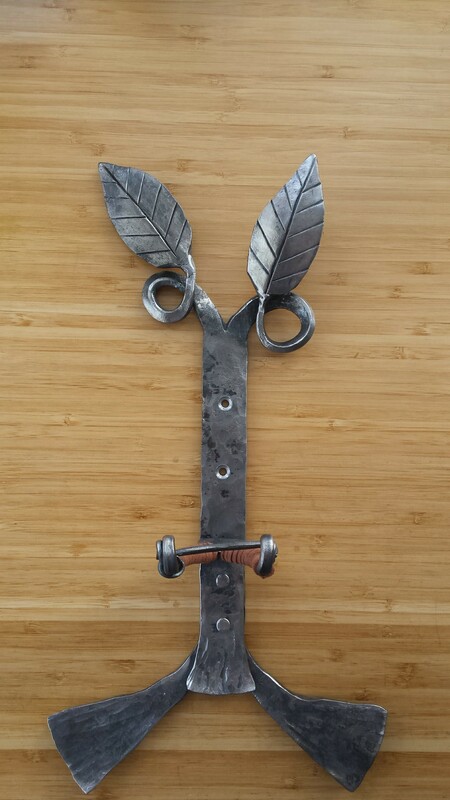 The drawing pleased the client so I went ahead and created the piece using various pieces of mild steel: flat bar, square bar and even a couple of old railroad spikes. 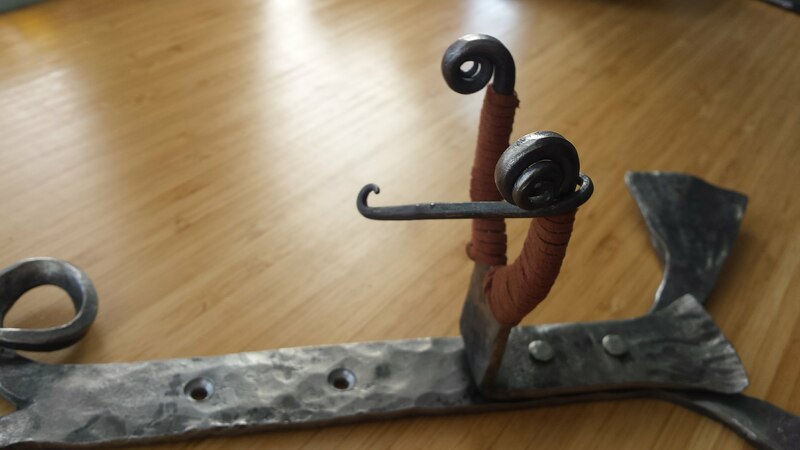 There is some traditional joinery with rivets, and welded components as well. 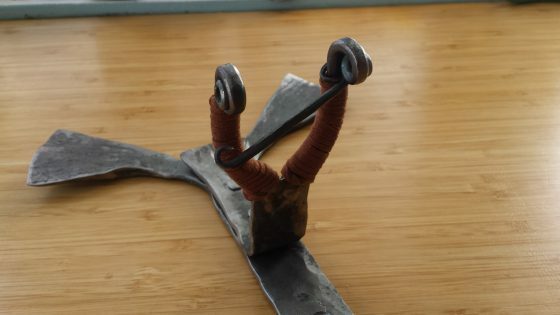 The real challenge with the fiddle mount was to ensure the dimensions were correct. 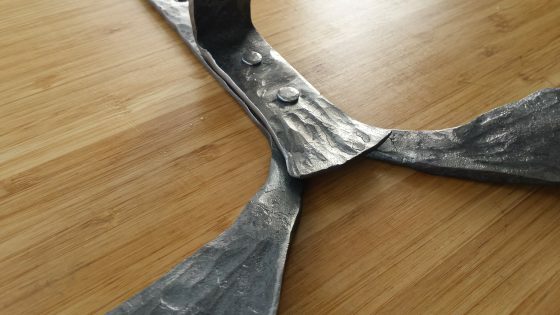 Having no fiddle on hand, I asked for specific details from the client to ensure I had the right dimensions so that the hook will work. The finished piece is designed to hold a fiddle at the neck (the hook dimensions are 3.5 cm x 3.5 cm. 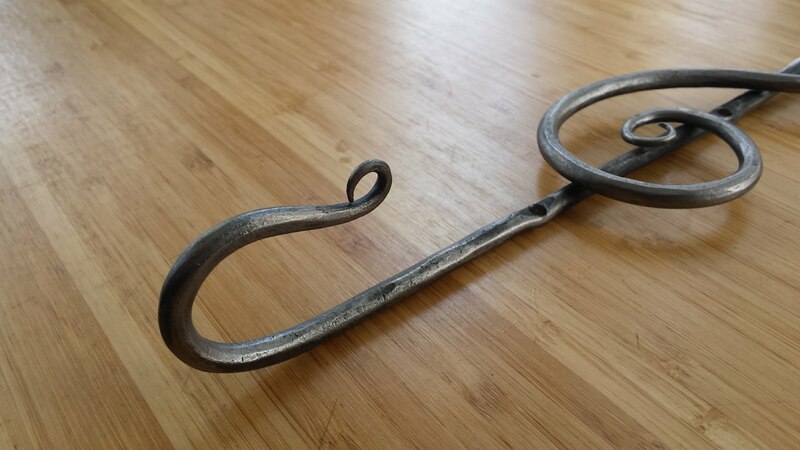 A movable cross piece holds the fiddle in place when mounted. 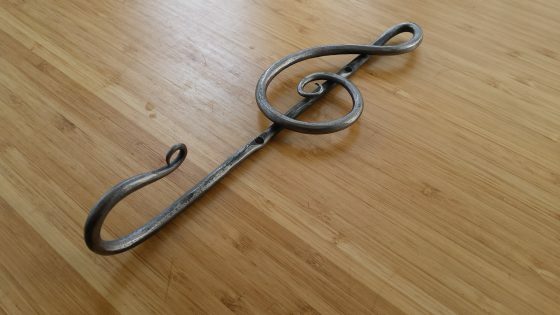 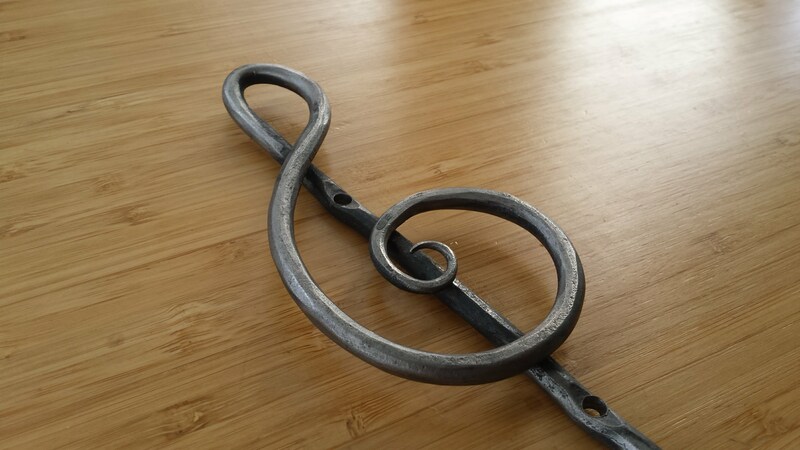 Both the treble clef hook and the fiddle mount are finished with a wire brush polish to burnish the steel but still leaving the darkened scale in the recesses to accentuate its texture. The fiddle hook is wrapped with suede leather to protect the fiddle’s wooden neck.